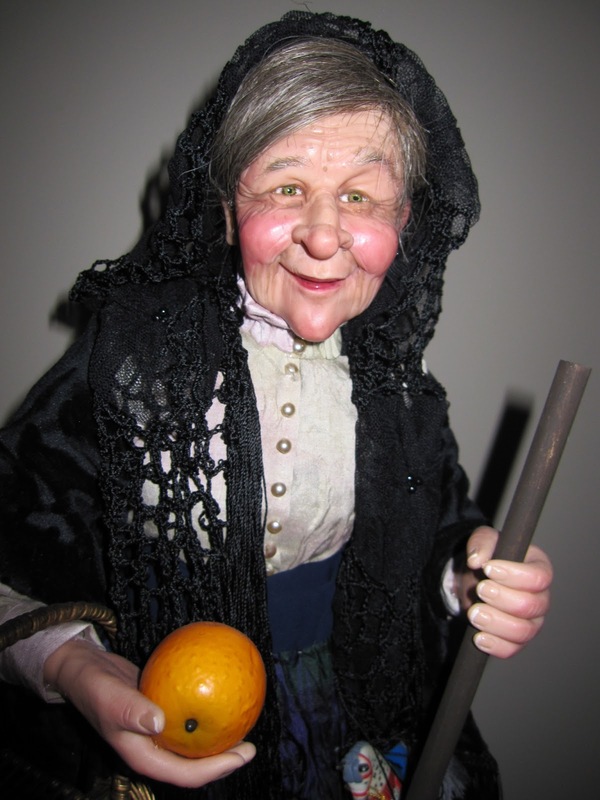 For anyone who is not familiar with La Befana, she is part of Italian Christmas traditions. There are many different versions of her story, some say she is just a nice old lady, others a witch, but traditionally, she brings gifts to children each January 6th. So since some of us football fans are just bigger versions of children, and we are playing Siena on Sunday, January 6th, I am counting on Befana to bring me the gift I want: A Milan victory to start off the new year. Please, Befana, be kind to Milan tomorrow. I'll leave you a whole basket of oranges if you like. Siena find themselves absolutely bottom of the table despite boasting an impressive 8 clean sheets this season, a credit to keeper Gianluca Pegolo. Aside from that they have the distinction of having beaten Inter 2-0 near the beginning of the season, for which we applaud them, of course. However, with such poor results, Siena, like any normal Italian team, sacked manager Serse Cosmi mid-December following a 4-1 thrashing at the hands of Fiorentina in their derby, thus also losing the manager with the best hat collection in the process. His replacement, Giuseppe Iachini, has not done any better with losses vs. Lazio and Napoli since then. To be fair, they would be clear of the relegation zone were it not for the six point penalty assigned them due to match fixing in the Calcioscommesse scandal. Tough year to be a Siena fan. Of course, every manager plans to win, and with the Christmas break and a chance to acclimate himself to the club a bit, Iachini will bring his best starting 11 to the San Siro tomorrow. Which may or may not include those he lined up against Napoli before the break: Pegolo; Dellafiore, Felipe, Contini; Valiani, D’Agostino, Belmonte, Rubin, Bolzoni; Calaio, and Rosina. Calaio will definitely miss this match, as he is suspended. Too bad we just missed Ze Eduardo. Apparently he hates the idea of a trial for Allegri so much that he managed to get loaned to Vasco de Gama back home in Brazil rather than face Milan and Allegri tomorrow. You know, Ze Love, this wasn't a trial. You could have played this match. Milan fans know about being a tough year to be a fan. Pato’s transfer to Corinthians this week makes the 15th player to leave the club in 6 months, most of those players being Scudetto winners with Milan just 18 short months ago. As if that wasn’t bad enough, of five center backs, we could possibly have only one available in Francesco Acerbi. Mexes is suspended, Bonera and Yepes injured, and Zapata has the flu. Not the defensive situation a club wants when facing a team who has nothing to lose. However, another bit of bad luck for Milan turned positive this week. While facing Serie C2 side Pro Patria in a friendly, several players were the victims of racial abuse. However the reckless bravery of Kevin Prince Boateng and the leadership of captain Massimo Ambrosini united the team in solidarity when they took a stand against the abuse and have since made headlines globally. Could this act of solidarity be the galvanizing force that changes Milan’s fortunes from rags to riches? We can only hope so, as we face Juventus on Wednesday in the Coppa Italia quarterfinals. 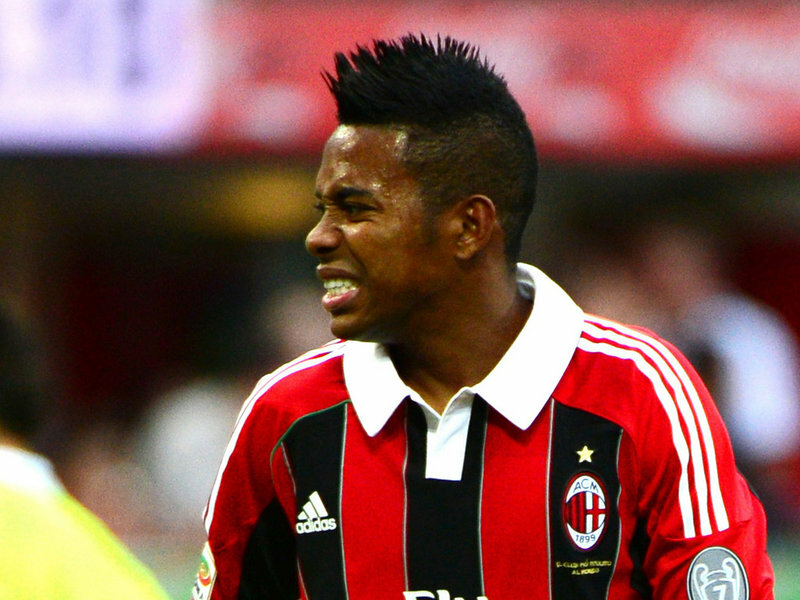 Will Robinho get his wish to go back to Brazil, too? As of this writing, Robinho could possibly remain a Milan player as talks with Santos yesterday hit a wall. However, apparently in expectation of a transfer, he did not train with the team yesterday, so it is unclear yet as to whether or not he will be available. Mesbah has been called up to the African Cup of Nations tournament, but Muntari and Traoré were snubbed by their teams and should be available. De Jong is of course out for the season, but other than the crisis at center back, Allegri has one of his most complete squads available to start the new year. There is also talk of our Primavera’s Cristante staying behind from his U18 tournament to fill in somewhere, as he trained with the team yesterday at Milanello. There is no such thing as a sure win, and with our defense situation, it gives Siena even more hope. Add that to our terrible home record this season, and Siena are probably planning to take three points back home with them. But I’m counting on La Befana. She may be a witch, but she’s a generous one, and I’ve been very good this year. Well, okay, she’s generous. And we are just as deserving of some good fortune as Siena this season. Watching our players put their arms around racially abused teammates on Thursday and seeing the emotional farewells at Milanello when Pato said goodbye, I am convinced that these boys are truly united, they’ve got each other’s backs, despite maybe not having enough healthy center backs for this one. May La Befana bless all of them, and perhaps they will be able to make up for anything that is left lacking.